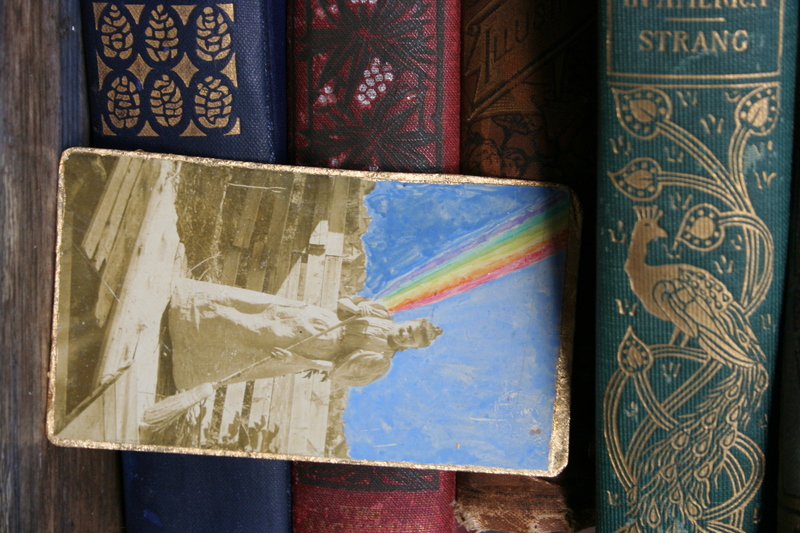 Turning beautiful but neglected antique books into treasured journals and sketchbooks since 2003. 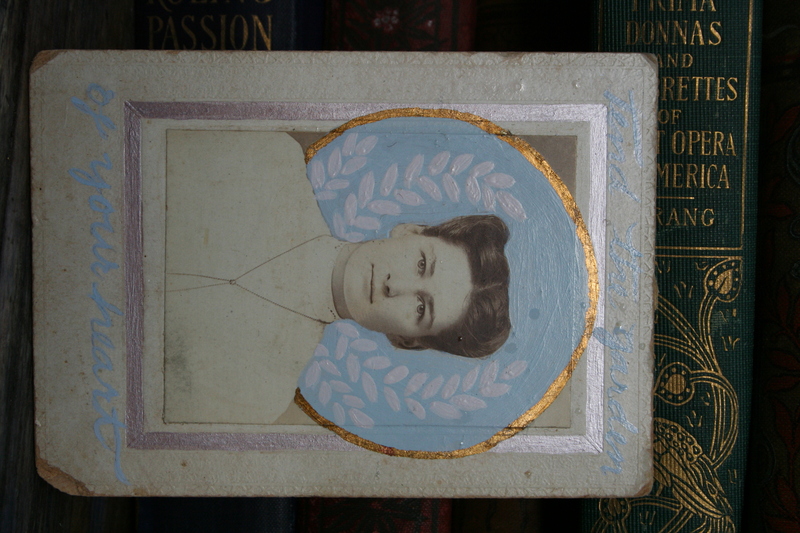 Bodelia Books brings together my love of beautiful antique books with fine bookbinding craftsmanship. 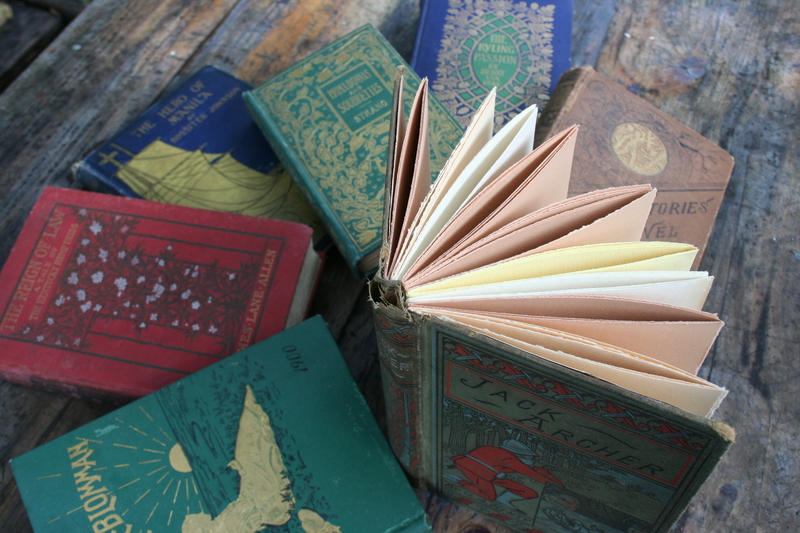 Each hand-bound book keeps the integrity of the original cover and spine, while the inside is filled with neatly bound vintage or new paper for writing or drawing. Keeping the original spine in tact is an art I have developed over time and is challenging and time consuming to accomplish. The results are worth it: from the outside they appear as they originally were, but the inside is new waiting to be filled up by you! Each book is a little different- not just the covers! 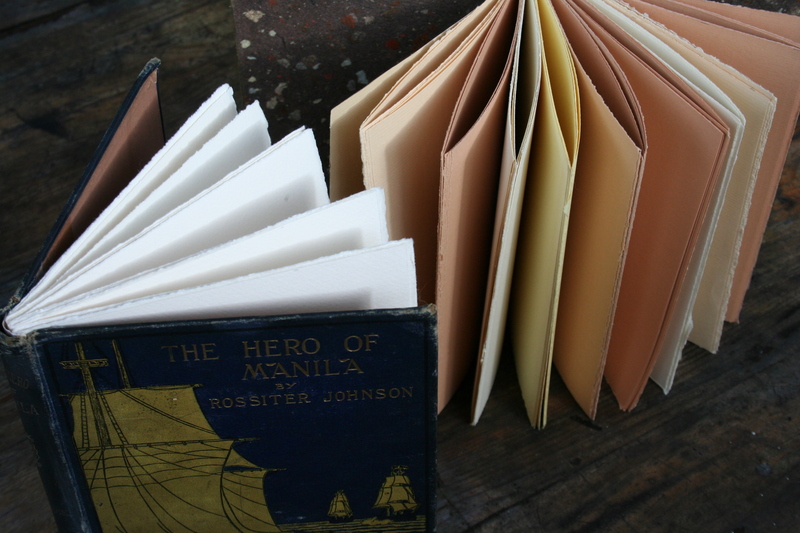 The end papers are selected to compliment the covers, and the writing and drawing pages are made of a selection of different papers. They might be cut or hand torn, vintage or new, colored or white, heavy duty or crisp, a combination of papers or all of one type. 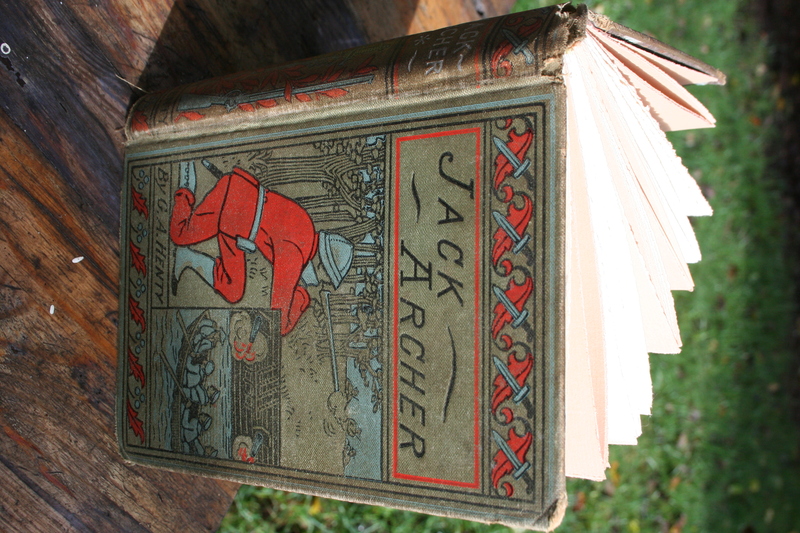 My favorite books to work with are from the late 1800s to the early 1900s. Some of them have their original owners’ names and dates inked into the end pages before I gut them. 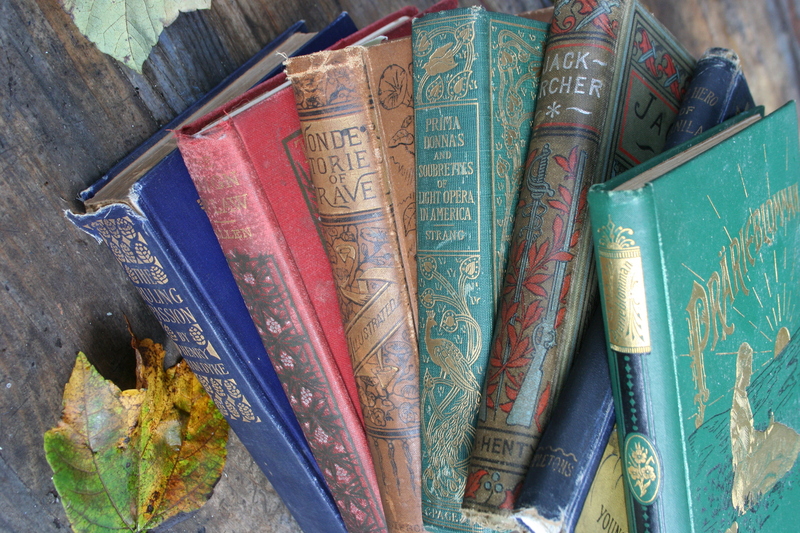 They were once treasured and read but lately languish on shelves and in boxes, unlikely to be read again. Their covers are strong and strikingly beautiful. 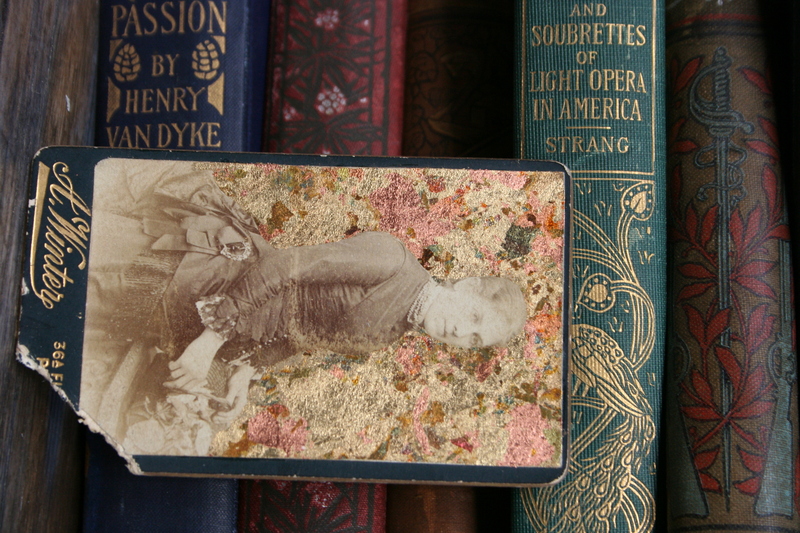 I find them in antique malls around the country, and sometimes at yard sales and flea markets. Above are a few I have already converted as well as some that are ready to gut. 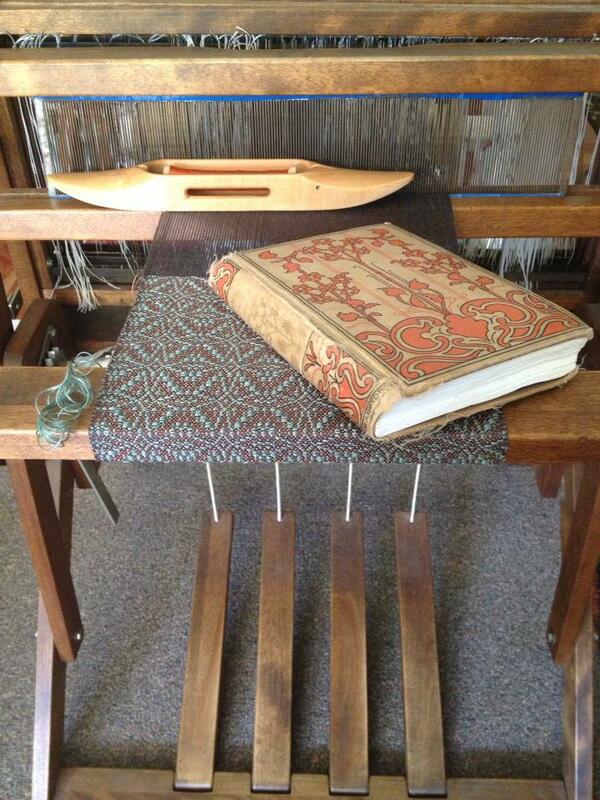 Above is one of my books happily being put to good use by a customer as a weaver’s idea book/journal. All types of folks love them and use them as idea books, notebooks for work, journals, sketchbooks, school notebooks, dream journals…. My love for that time period doesn’t end there. I’ve been collecting old photos for years and have started painting new scenes on them. 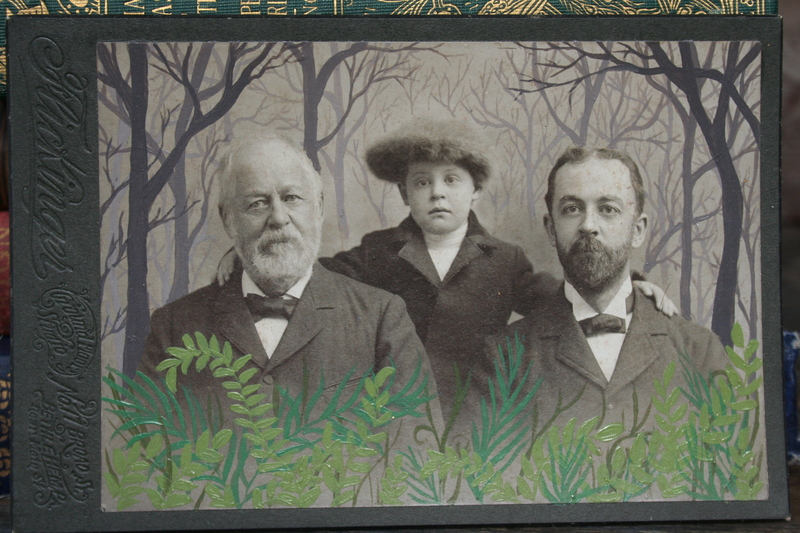 I’ll gaze at the photo for a while and imagine a dream or interest they may have had in life. I’ll incorporate that idea or vision throughout the image while respecting their individuality. 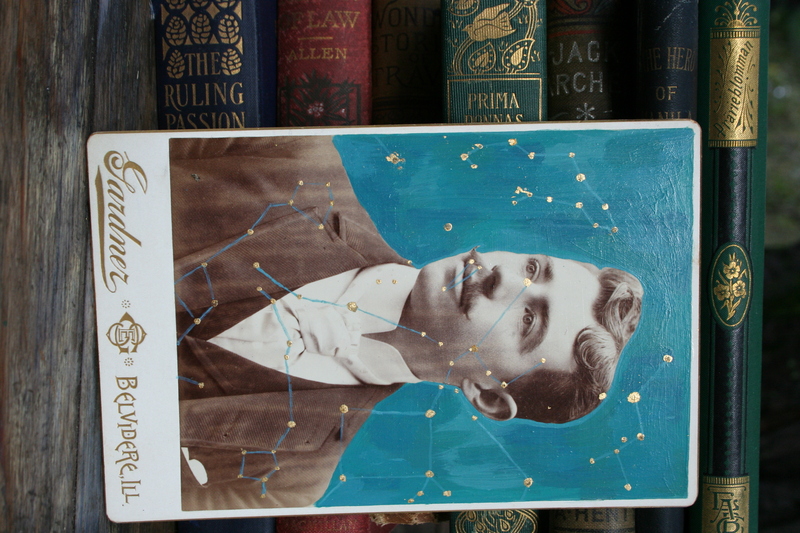 Above, I felt like maybe he would have been interested in astronomy and physics so I painted some constellations around and over him, using paint and gold leaf.